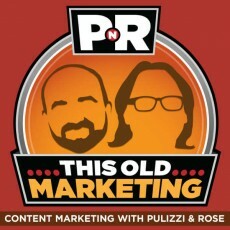 In this episode, Robert and I rant a bit about a new content marketing awards program before discussing our confusion about a speech from a Dell marketing executive about the future of traditional publishing. We finish the show with our take on where content marketing fits into a mobile marketing strategy and an exploration of this week’s #ThisOldMarketing example: USAA magazine. Digiday‘s Dubious Content Marketing Honors (4:03): GE recently took Best in Show at Digiday‘s first-ever Content Marketing Awards. The company won in four categories and was recognized as a finalist in two others. Robert and I shared some serious concerns about these awards, including the panel of judges Digiday selected and what its selection of winners appears to emphasize — and what it ignores, including a fundamental measure of content marketing success. Where Do Brands Lie on Publishers’ “Funky Scale”? (10:50): Stephanie Losee, Managing Editor at Dell Global Communications, was the opening keynote speaker at min’s Content Marketing & Innovation Summit, where she offered a closer look at what brands are really looking to gain from content marketing. Unfortunately, a lot of what she was saying (as reported by Folio magazine) doesn’t seem to make sense. Robert and I share some theories on where her remarks go wrong, and why they may have focused only on a single aspect of content marketing. Brands Are Struggling to Crack Mobile for Marketing (25:20): This fascinating article from AdAge describes AT&T’s travails as it tries to adapt its marketing strategy to mobile platforms. Robert and I agree that viewing mobile as an advertising platform is the wrong approach. Robert shares three strategies that are effective on mobile, while I recommend a simple, more practical approach to succeed with content marketing on this platform. This Old Marketing is once again being sponsored by Emma — email marketing for the modern brand, featuring mobile-responsive templates, social integration tools, and concierge services. Emma is promoting an informative infographic it has created entitled 18 Email Stats Every Marketer Needs to Know. You can check it out at http://bit.ly/email-pnr. 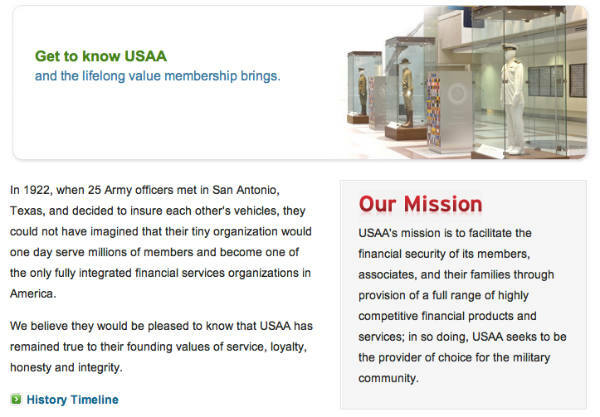 USAA Magazine: USAA provides insurance and financial services to members of the U.S. armed services and their families. Its quarterly magazine, which gets mailed to over 4 million subscribers, is devoted to covering “personal finance topics tailored for USAA members and relevant to the military community.” We couldn’t find a start date for the magazine, but it has been published for at least three to four decades — a great example of a long-term commitment to providing valuable, focused content to its target audience. Robert explains why USAA Magazine‘s clearly-worded mission statement is important — not only to its readers but also to its editorial staff.